Far from being wishful thinking, Green Policy is realistic, rooted in evidence and developed to solve real problems that people face. Green Policy does not set out to secure further advantage for powerful elites. Consider energy, Government policy is unsustainable, protecting the interests of the big energy and fossil fuel companies. As a result of this policy we have spiralling energy costs with one in five households suffering energy poverty. We are seeing the ‘big 6’ making massive profits, and we are reliant on imported fossil fuels that are accelerating global warming. Their policy is to frack the very foundations of these islands to squeeze out the last drops of oil, gas and private profit, making us more reliant on polluting, climate threatening expensive fuels. This is the policy that ConDem and Labour call ‘realistic’. Greens think differently. For us, access to affordable energy is an essential part of well-being. We will be introducing a new energy policy at the Autumn Conference in Aston. The cornerstone of our policy is to cut waste and make a rapid switch to renewable energy. Our aim is to deliver the energy that people need at a price that they can afford. An important part of the drive to affordable energy is to foster community owned generating systems, designed to tap into renewable energy sources to meet local needs. Unrealistic? No not at all, this is happening right here in Derbyshire. 4Winds Energy Cooperative has been awarded planning permission by Chesterfield Council to build a wind turbine at Duckmanton. Most of the necessary investment has been raised locally, through a modestly priced share offer, enabling people to invest in their local energy infrastructure, keeping money in the local economy. This is the model of investment used in Germany where the growth of renewable energy has been much more rapid than here, through a much greater level of local engagement minimising opposition. Central Government has failed to encourage the growth of renewable energy, in marked contrast to its support for fracking and nuclear power. Powerful pro-fossil interests have manipulated policy and also public opinion. The popular press have maintained a ridiculous campaign of opposition to both wind and solar power, leading to planning applications for renewable schemes being refused. This has happened too often in Derbyshire. 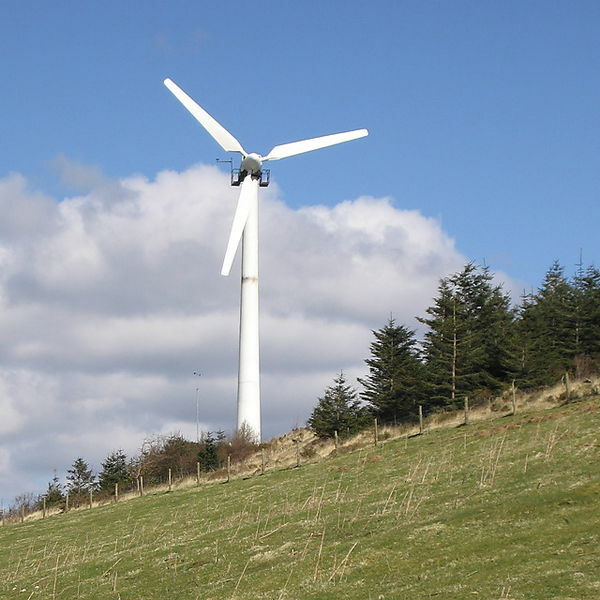 This summer Derbyshire Green Party became involved in an appeal against a refusal by Derbyshire Dales District Council for a modest wind turbine on a farm near to Ashbourne. Considering the application DGP looked at the wider context as well as the specific site, as we believe planning decisions must. We pointed out that the Government has a legally binding obligation to reduce carbon emissions and to do this, renewable schemes have to be encouraged. We said that Climate Change, driven by carbon emissions is a real and present danger, recognised by the Ministry of Defence that warns of Catastrophic Climate Shock in its 5th Strategic Trends report. We pointed out that this turbine would help to cut the farm’s reliance on imported diesel and cut its carbon footprint. Surplus electricity would to sold to the grid to help the financial viability of the farm at a time when incomes are under great pressure. We recognised that harvesting energy from wind and sun is a legitimate part of a farm business helping to maintain this vital sector in the rural economy. We also challenged the claim that there is deep public hostility to renewable energy. An IPSOS-MORI poll in 2012 found that two thirds of people thought the impact of turbines on the landscape ‘acceptable’. A study carried out by Sheffield University for Sustainable Youlgrave found that over 60% of residents would not oppose reasonable turbines in view from their homes. The latest public survey by the Department of Energy and Climate Change found that 70% of the public support onshore wind, compared to 29% supporting fracking. Despite all the propaganda from the fossil fuel interests, the public is supportive of renewable energy. What they do object to is huge developments by remote companies being dumped on their doorstep. This is why, in our energy policy, we say that local Councils need to have the power and resources to develop local energy plans, designed to match local needs with generation and to address energy efficiency. Councils need the resources to ensure that all homes, including the ‘hard to treat’ properties so often found in rural areas, are brought up to modern standards of energy efficiency. This is an investment in the housing stock that will lower energy demand. It will leave householders with more money in their pockets to spend in the local economy, it will cut the nations fuel import bill so helping the balance of payments. This is practical realistic policy. This entry was posted in Derby, Derbyshire County, Derbyshire Dales, High Peak and tagged climate change, Environment, Green Party, renewable energy. Bookmark the permalink.